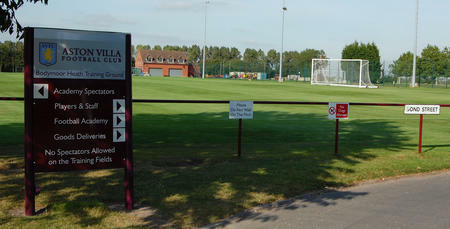 QPR lost 1-0 to Aston Villa at Villa Park on Tuesday night, despite a second half onslaught from Ian Holloway’s side. 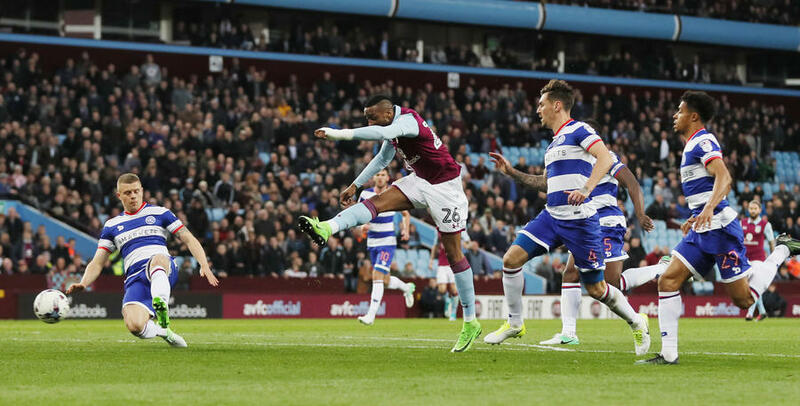 Jonathan Kodjia’s fifth minute goal handed the hosts maximum points, but the Villains rode their luck in the second period, with an improved R’s performance deserving much more than the final scoreline suggested. 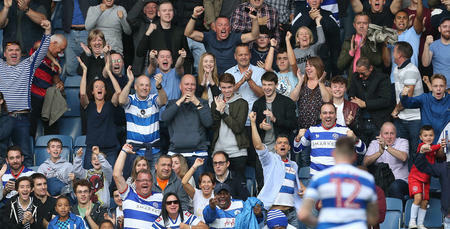 Holloway’s men completely dominated proceedings in the second period, but the all-important equaliser proved beyond them, with substitute Matt Smith’s header – that flew inches wide – the closest the R’s came. Perhaps with one eye on a hectic April schedule, Holloway made five changes to the R’s side that went down 1-0 to Derby County four days earlier. Sean Goss, Massimo Luongo, Yeni Ngbakoto, Jamie Mackie and Idrissa Sylla all started, as the Rangers boss shuffled his pack at Villa Park. Alex Smithies started in goal, behind a back four of Darnell Furlong, Nedum Onuoha, Grant Hall and Jake Bidwell. Goss and Luongo were named in a three-man midfield alongside March Player of the Month Luke Freeman, whilst Ngbakoto and Mackie played wide off Sylla in attack. Villa, the form side in the Championship with six wins from their last seven fixtures, started in a 4-5-1 formation, with the pacey Jordan Amavi playing just off top-scorer Kodjia. Rangers were under the cosh from the kick-off, with Albert Adomah cannoning a left-footed strike off the base of the post inside three minutes. The R’s failed to heed the warning though and they were behind just two minutes later. Kodjia and Leandro Bacuna played a neat one-two and the Villa front-man finished emphatically from 15-yards, giving the exposed Smithies absolutely no chance. The Holte End were in full voice, but Rangers responded positively to the early setback, with Ngbakoto seeing his 25-yard strike deflected narrowly wide moments later. Rangers grew into the match as the half progressed and Mackie was next to try his luck from distance, thrashing a right-footed effort wide on 23 minutes. The R’s were enjoying an equal share of territory and possession, but clear-cut chances remained at a premium, as the hosts headed into half-time a goal to the good thanks to Kodjia’s early strike. Both sides remained unchanged at the break, but it was the hosts who created – and spurned – the first chance of note in the second period, when Adomah fired wide from 12-yards on 51 minutes. Villa created another decent opportunity five minutes later, when the ball broke to Nathan Baker eight-yards out, but Luongo was in the right place at the right time to hack the ball to safety. The R’s were by no means second-best though, with the outsnading Luongo and Freeman driving the visitors forward at every given opportunity. Ngbakoto headed over Mackie’s cross just after the hour, before Holloway made his first change, replacing Sylla with Matt Smith. Smith nearly made an immediate impact, narrowly heading Ngbakoto’s pin-point cross wide of the left hand post just moments after being introduced to the action. Rangers were on top and the natives were growing restless, as Holloway – sensing the mood had changed around Villa Park – made a second substitution, with Goss making way at the expense of Washington. 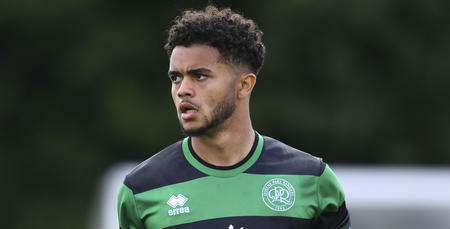 Washington was in the action immediately, firing narrowly wide of the post, as the Hoops continued to ask questions of the hosts. It was all Rangers now, with Ngbakoto seeing his shot cleared for a corner, before Michael Petrasso replaced Furlong. Steve Bruce responded with his first change, as Adomah made way for former Brentford striker Scott Hogan, but it was still Rangers who posed the greater attacking threat as the clock approached 80 minutes. As Rangers threw men forward, a rare foray up the pitch from Alan Hutton ended with his cross across the face of the six-yard box narrowly evading the onrushing Hogan. Rangers gave all they had in the four minutes of added on time, but an equaliser proved beyond them, despite a titanic second half effort. 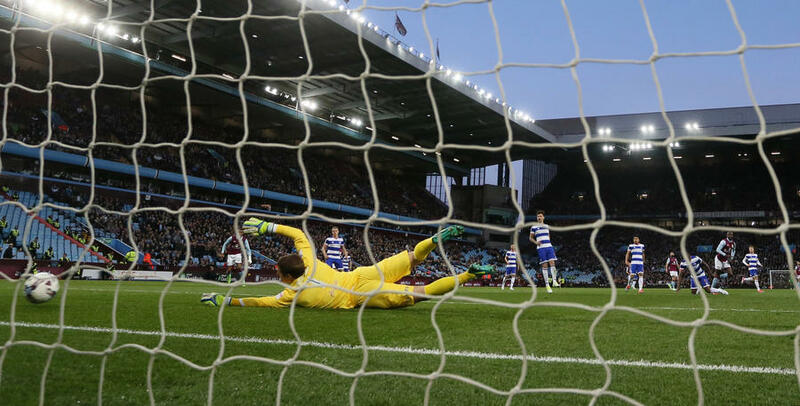 WATCH over 10 minutes of action from Villa Park as QPR suffered a 1-0 defeat.